Walpole MA is located approximately 18 miles south of Boston and 23 Miles North of Providence RI. The location of this community is one of the reasons that it is a desirable place to live. Routes, 95, 93, 128, and 495 are easily accessible from all areas of town. There is a train station for the Boston commuter rail just outside the picturesque town square. Walpole has a well deserved reputation for providing a quality education to it's children. In addition to the academic public schools, the Norfolk Agricultural School is located on the North side of town. There is shopping available, quality restaurants within the vicinity as well as medical facilities. There are places to observe and take in nature all over town, including but not limited to the "Town Forest", Bird Park, and Adams Farm. The attached flip book contains the November stats on the local Real Estate market as well as my impressions. I hope you find it useful and informative. If you are looking to buy or sell in the Walpole area, please give me a call. 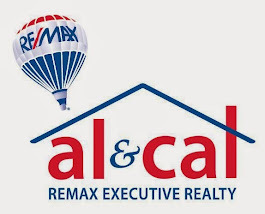 I am a native of the community and have been selling and marketing real estate here since 1989. Great, it seems that things may be coming back. I like the stats book. Hi Anon. Things seem to be looking up. It will be interesting to see what the next few months bring. Thank you for reading. Passing this along to my Walpole friends! Love the book too! Thank you Nancy. Hope they will find the info interesting. I did!